A few years ago my parents bought me a purity ring. It has a pretty blue topaz set in a sterling silver band – just the kind of thing I like. I thought it was a beautiful ring, but it was too big for awhile. Recently I remembered I had it in my jewelry box and thought to try it on. It fits just right. Wearing my ring again really made me consider what it means to me and why I even wear it at all. My ring is not a chastity ring; it is a purity ring. There is a difference. To me, my ring isn’t merely a token of my commitment to “wait” for the guy I will someday marry; it is a symbol of my covenant with God, my covenant to choose Him above all other things in this world. I choose purity because my King has called me to it and I love Him. Many people think that purity is just about abstinence, but it is so much more than that. It is about a way of life. In Philippians 4:8 Paul urges us to think about “whatever is true, whatever is noble, whatever is right, whatever is pure, whatever is lovely, whatever is admirable.” Purity is about your thoughts, your words, your actions, and your choices. I have chosen Him, and His way is purity. When I said “yes” to Him and to purity, I automatically said “no” to everything else. I will never need to wonder “how far is too far?” There are so many things I will never have to question, and it is all because I said “yes” to One. It is such a beautiful thing! In this day and age, we are constantly being bombarded by words, ideas, images, and choices. The words of Isaiah 1:22 fit what is happening at this time and what has been happening since the beginning of man’s sinfulness: “Your silver has become dross, your choice wine is diluted with water.” Can you hear the sorrow in those words? In the past we have chosen vile things and corrupt ways. Yet there is another choice before each of us; our Father offers another way, His perfect way: “Come now, let us reason together….Though your sins are like scarlet, they shall be white as snow; though they are red as crimson, they shall be like wool” (Isaiah 1:18). God is longing to restore purity in the hearts of His people. He calls out to each of us, “My son, my daughter, walk with me. I have something so much more beautiful for you.” Will you heed His call to purity? Words of truth imbedded in a quirky British sci-fi show. 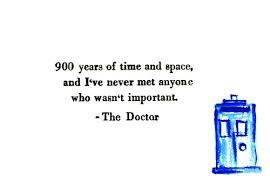 If you’ve never watched BBC’s Doctor Who, then you won’t know who the Doctor is, or understand the bit about time, space, and nine hundred years. Anyway, it is a television series we are watching, and I just loved that line. It sums up what I have been thinking about this week. Every single person is important. Every single person is extraordinary. Do you know why? 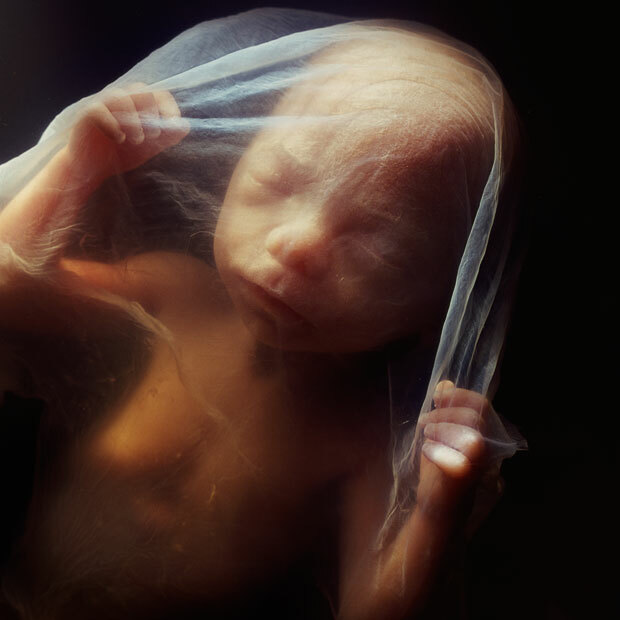 It is because every single person is fearfully and wonderfully made in the image of our Creator. Sometimes everyone feels that they are simply extra ordinary and average. That feeling, however, is a lie, plain and simple. God makes His feelings on the subject clear throughout the Bible. One of my favorite Old Testament passages about this is Psalms 139, which blatantly points out the truth: we are all fearfully and wonderfully made, created for a unique purpose, and we cannot escape our Creator’s love! Isn’t it just amazing and mind-boggling?! He has made each one of us to be an astounding display of His glory and goodness. It is, I believe, His desire that we each not only realize His beauty but also realize the beauty He has put inside us. What better way to show the magnificence of the Creator than through that which He has so carefully and lovingly created, His greatest masterpieces? “Never doubt your value, my beloved,” He whispers to each of our hearts. “You are my beautiful treasure, a pearl of great price, and you were worth the greatest Sacrifice.” So here’s the question: do you believe it?